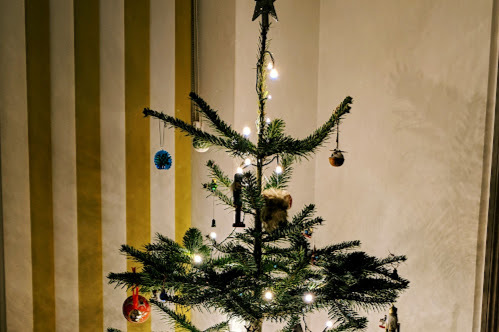 Image found here - with the option to grab this cute image for your phone! 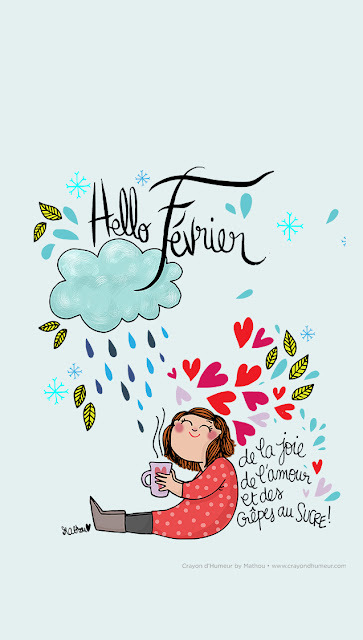 Hello and happy February to you! The sun is shining as I type this introduction on Sunday, which bodes well, although it's freeezing cold. Don't get me wrong, I will take the cold and crisp day over the slightly warmer but damp (hello humidity!) day. The sunshine and the slightly lighter evenings and mornings fill me with all the happy feelings that spring is well and truly on its way. ♥ Taking a week off in January... I don't think I've ever taken a week off in January before - usually I feel that Christmas wasn't too long ago and I need to power on through until Spring at the very earliest before using too much of my precious annual leave but having friends visiting at this time of year was a bit of a revelation. I didn't realise quite how much the post-Christmas darkness and cold had already taken their toll and this break was a much-needed boost. ♥ Old friends... Following on neatly from the above, isn't there something particularly special about old friends? Friends with whom you don't need to explain yourself or fill the little silences because they've known you for so long that it's just not necessary. I feel so lucky to have these kinds of friendships in my life. ♥ Blossom... 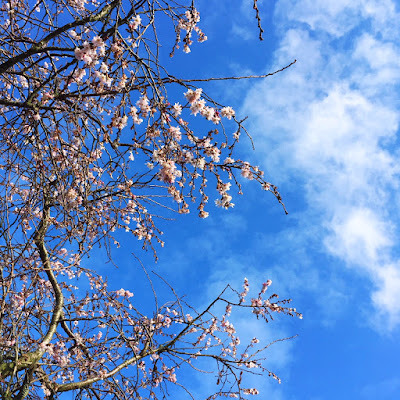 I spotted the blossom in the photo below as I was walking through my local park to the station at the weekend. 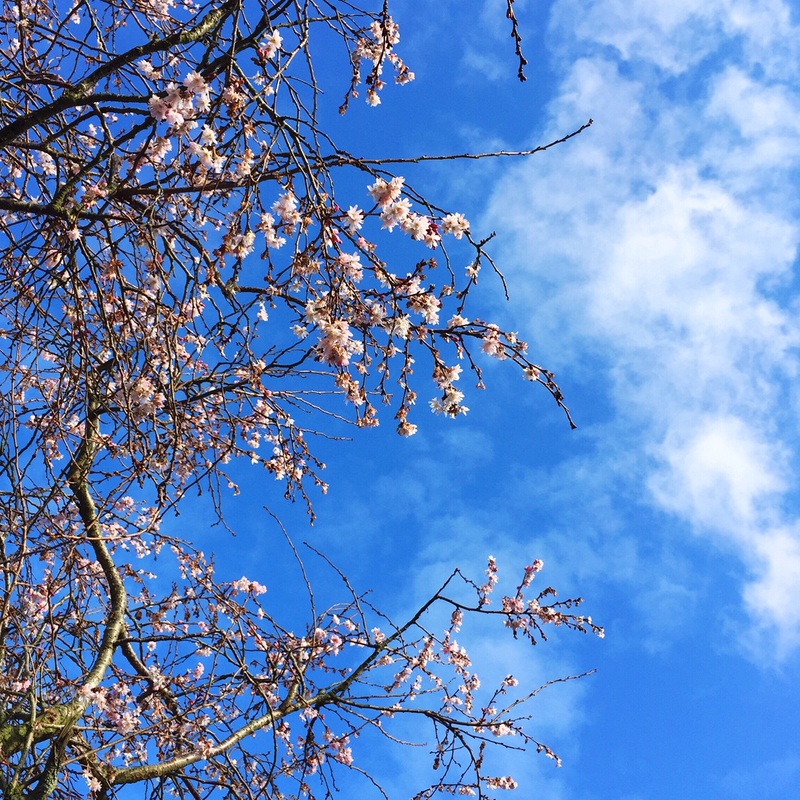 It was bitterly cold, despite the sunshine and glorious blue sky, but I glanced up and saw the pretty pink blossoms dancing in the breeze. These little buds, together with the snowdrops, first signs of budding daffodils and crocuses beneath the trees made my heart soar - we don't have too much left of this dark side of winter! ♥ Pinterest... I fell out of love with Pinterest for a little while but I'd forgotten how useful it is as a tool if you're planning something and looking for creative inspiration, as well as then falling into a rabbit hole of distraction. I'm busily pinning to a top secret board at the moment but that doesn't stop me from stumbling across all manner of other lovely images to pin at the same time. Are you on Pinterest too? Do let me know and you can find me here. ♥ The Greatest Showman... Slightly late to the party here but we went to watch this at the cinema last week (after having fish and chips for dinner - what a great day!) and it was so so wonderful and just full of sheer JOY. I'm listening to the soundtrack on Spotify as I finish typing this post ('This Is Me' on repeat, if you're interested) and I think I'm going to have to treat myself to the album at some point in the future because Spotify's ad breaks really pop up at the worst possible moments! ♥ Stationery... I'm sure I've mentioned this on a previous Wonderful Wednesday (if not several) but it's getting a special mention again this week because one of my friends brought me a selection of treats from Japan and I'm so happy about it! I will bore on about Japan at length to anyone who asks, honestly you should all be adding it to your must-visit lists immediately if it's not already close to the top. The food, the culture, the history - there are so many reasons to love the country but included on my list of favourite things about the country is the amazing stationery. Honestly, if you love a planner as much as I do and can't leave a stationery store without adding to your collection of notebooks, the stationery options in Japan are to die for. 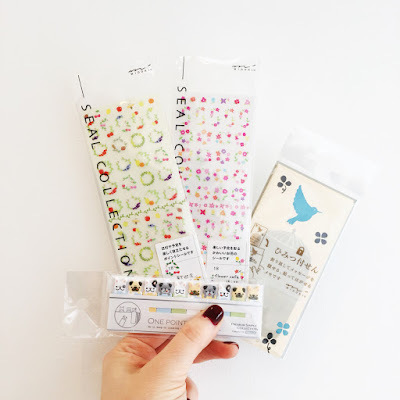 One thing I am guilty of, unfortunately, is just not using my stationery collection so I'm determined to do so this time - I have stickers, post-its and washi tape aplenty - it's time to get creative! What a lovely list of happiness Cat!! A week off in January sounds perfect, I think we often forget how busy and stressful Christmas can be - it can really take it's toll! The blossom looks beautiful and I love getting lost on Pinterest! I'm off to follow you now. Have a lovely week Cat. Ahh thank you lovely! Let me know what your username is so I can follow you back?! I'm totally feeling the need for a break already so well done you for taking that week! I'm actually taking tomorrow off just for a little recharge. There is something special about old friends! The way that you can just pick up exactly where you left off no matter how much time has passed. Those relationships are really unique. That Japanese stationary is ♥♥♥ !! Oh the wonderful rabbit hole that is Pinterest. I've currently got a secret board for handmade gifts I'm planning throughout the year. Although I almost certainly waste equal amounts of time on there faffing as I do useful pinning! I agree, a cold crisp day is so much *fresher* than a warmer damp day. Even though I can't wait for spring and I can finally stop wearing so many layers! Maaaan I want to see the Greatest Showman! It has recently stopped showing in our cinema before I got to see it and I am gutted! The soundtrack sounds incredible! My niece keeps on telling me I should see The Greatest Showman (her opinion - "best film ever") but this is the first actual adult review of it I've seen, and persuades me rather more than her! I wouldn't say best film ever and I really doubt how historically accurate it is but it's heaps of fun, and worth watching for the songs alone really!